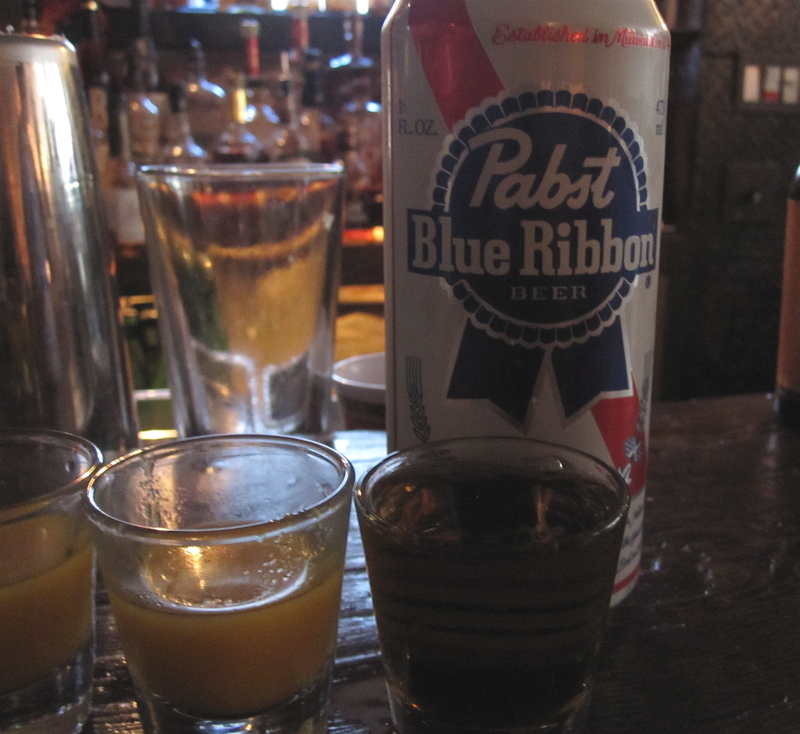 I never really order whiskey shots or PBR Tall boys, but when paired with a shot of spicy, salty, frothy pickle back (juice), the trifecta was brilliant and awesome. The “Recession Special” at Fatty Cue in Brooklyn is comprised of all three for $6, and there’s a sipping order (bourbon first, then pickle back, followed by a sip of beer). I actually could’ve chugged an entire glass of the pickle back (which reminded of my parents’ homemade pickles), and our server was kind enough to bring us an extra shot. It was the perfect pre-spicy-dinner “cocktail,” and as the recession continues to lift, this libation trio definitely needs to stay (along with the coriander bacon, pork spare ribs, and crab laksa). Fatty Cue, 91 S. 6th Street, Brooklyn, N.Y.